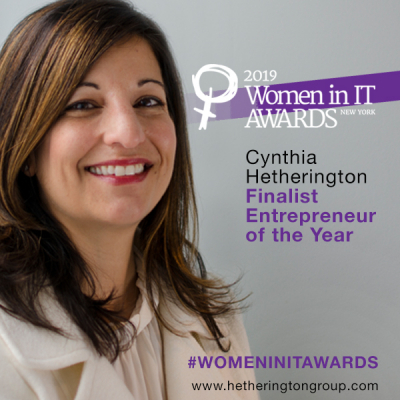 (Wanaque, NJ) Cynthia Hetherington, founder and president of Hetherington Group (Hg), has been shortlisted with nine other global women for the prestigious 2019 Women in IT—NYC Entrepreneur of the Year Award. 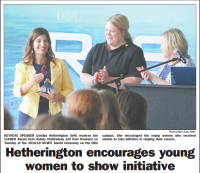 Organized by business technology site Information Age, the awards were launched as a platform to celebrate women in technology. Headquartered in New Jersey, Hg is a consulting, publishing, and training firm that leads in due diligence, corporate intelligence, and cyber investigations. For the past three years, Hg has shown a consistently strong 50% growth and is on track to expand operations with a 50% increase in investigators and a 20% expansion in support staff. 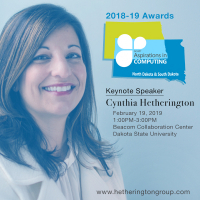 Ms. Hetherington has authored three books on how to conduct cyber investigations and annually trains over 7,200 intelligence professionals on best practices. 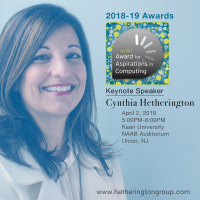 She shares her expertise in this increasingly data-intensive, cyber focused-world through the publication of an industry newsletter and an online blog. Since its launch, in 2015, the Women in IT Awards have showcased women in technology in London, New York, Ireland, and Silicon Valley. This year the awards series will expand to celebrate women in technology in Asia, Berlin, and Canada for the first time. This growing awards series acts as a flagship and high-profile platform to support the industry in its mission to move the dial on gender. According to the National Center for Women & Information Technology, the number of women working in IT in 2017 was a mere 26%, with women of color representing only 10% of that number (5% Asian, 3% African-American, and 1% Hispanic). Cybersecurity Ventures estimates that by the end of 2019, a mere 20% of women will be in the global cybersecurity workforce, up from 11% in 2013. The Women in IT Awards series aims to tackle this issue and redress the gender imbalance, by showcasing the achievements of women in the sector and identifying new role models.